There are plenty of reasons to get outside year round but we find fall to be a particular favorite here in the Pacific Northwest. Even though the days are shorter the plus side is that you will be gifted the opportunity to take in more sunrises and sunsets while fields below you glow golden hues of fall’s gentle kiss. 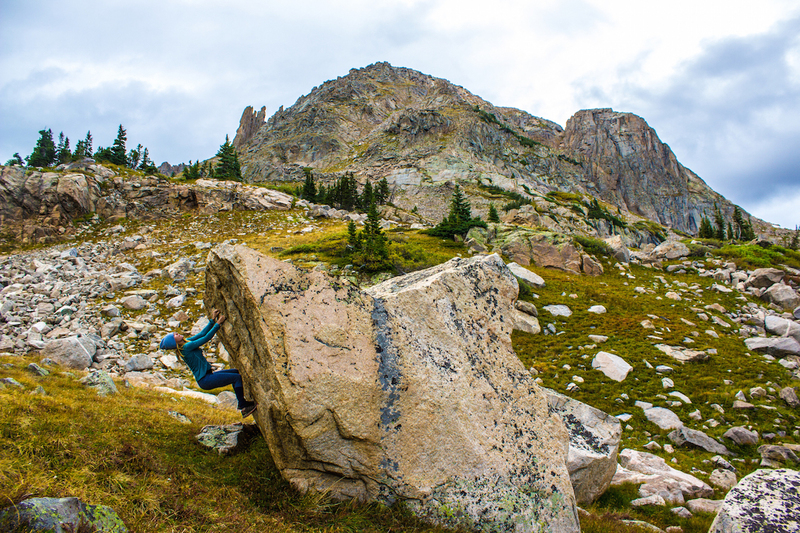 October happens to be one of my favorite times to backpack in the alpine but the changing weather also requires some careful thought before hitting the trails. Last winter’s snow is long gone, inviting slabs of granite and fields of heather to receive a short kiss of sun before hibernating again. Red and orange and yellow hues dance in peripheral vision. Daytime temperatures are ideal for hiking, nighttime perfect for curling up in a warm sleeping bag. Wildlife is making the most out of its last days before hibernation. Migrating birds flock south. The sound of elk bugles haunts the air. Big-horn sheep and mountain goats are in their annual mating practice, charging and clashing horns. There are no crowds. There are no bugs. 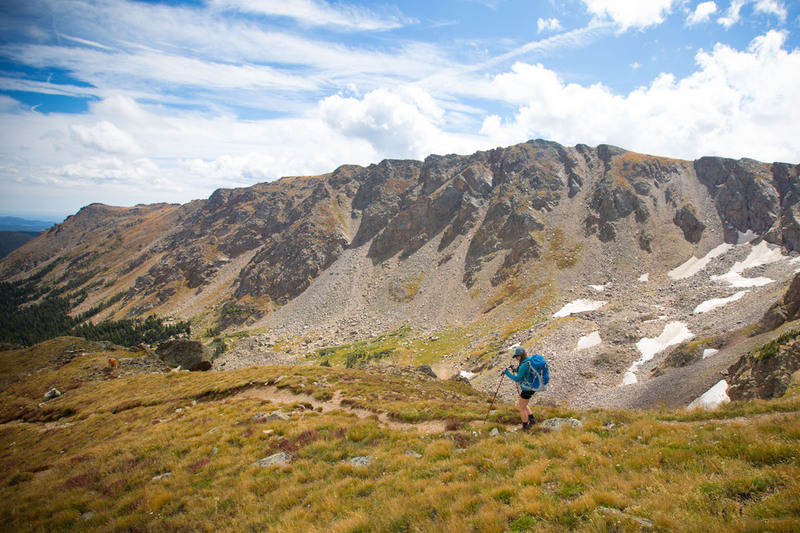 You’re fit from a summer of ridgeline romps and alpine adventures, and your packing skills have been honed down to a science. You’re still dreaming of a few places that you didn’t get to check off that ever-growing tick list this summer. These are the reasons you should go. Weather is highly variable at anytime of year, and autumn is no exception. 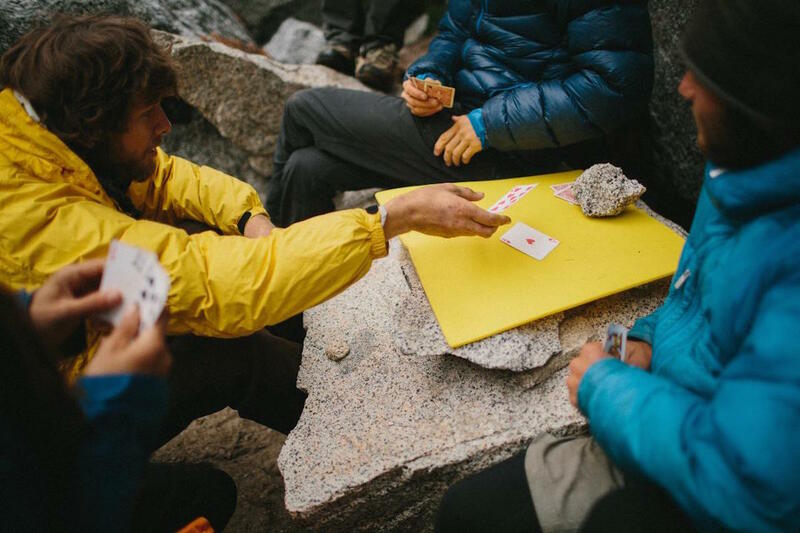 One October weekend you could be sunbathing on a slab of glacier-carved granite, the next you could be in the thick of a snowstorm in the forest. However, if you have the flexibility to watch the weather report and pick your weekend, October can be prime almost anywhere. 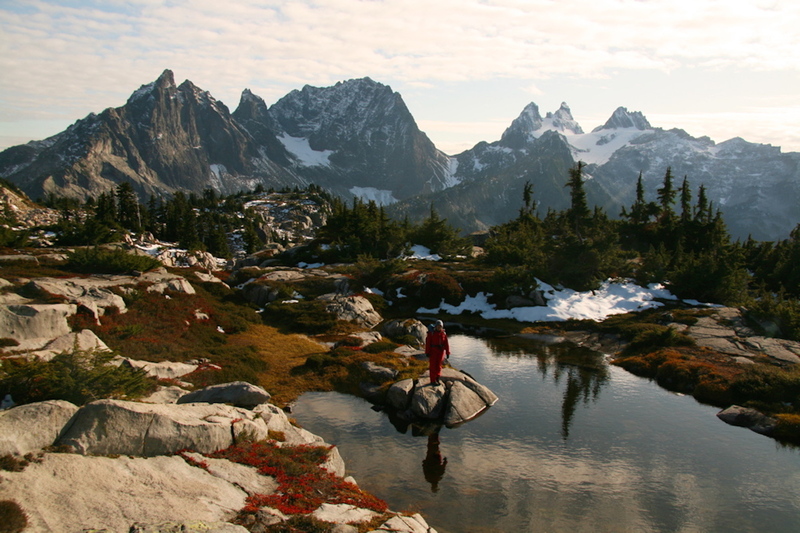 Many wilderness areas—including the popular Enchantments in Washington State—have permit systems that restrict visitation to a select number during the summer; the majority of these restrictions loosen up in autumn. If you didn’t win the alpine lottery this summer, now’s your time! 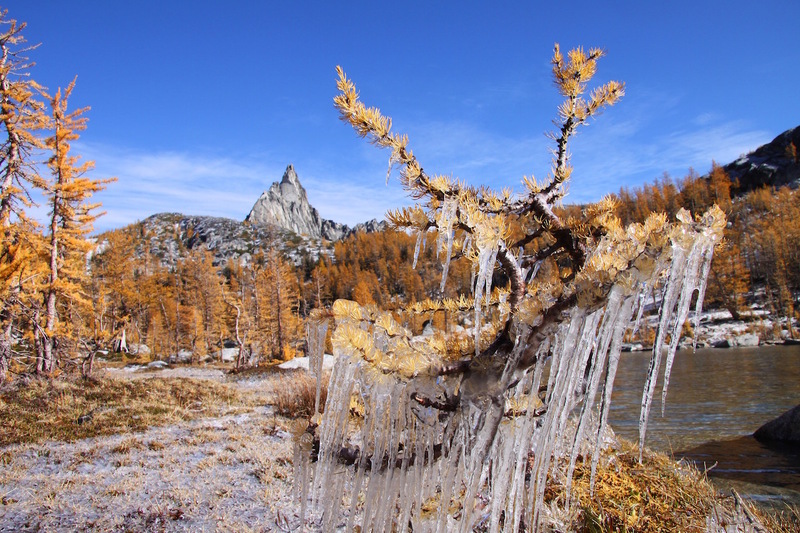 From the North Cascades and Rocky Mountain National Park, to the Sierra Nevada or Glacier National Park, October is simply a beautiful month in the mountains. Short days and long nights mean you will be in the dark for more time than you’re used to, so plan accordingly. Bring candles and extra headlamp batteries, podcasts, books, a deck of cards or a crossword—or just a few extra layers for stargazing. Speaking of layers, bring an assortment, including those long underwear bottoms that you haven’t used since last spring, that down jacket that only served as your pillow this summer before you cut it from the packing list, and a beanie and gloves. You might end up wearing few of your layers, and you might end up wearing all of them while wishing for more. Extra fuel will come in handy for making hot water bottles at night, and some libations might help make the evening slightly warmer. The term is almost cliché at this point, but for good reason: layers work. 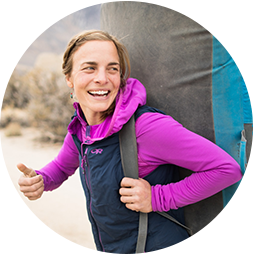 You’ll be set for the whole day with a base-layer, an insulating mid-layer, and a conditions-specific outer layer. Be bold, start cold: outer layers come off for the hike. As soon as you stop for a break or arrive at camp, put on these warm layers to trap all body that heat that your exercise has generated. As the saying goes, it’s easier to stay dry than to get dry. 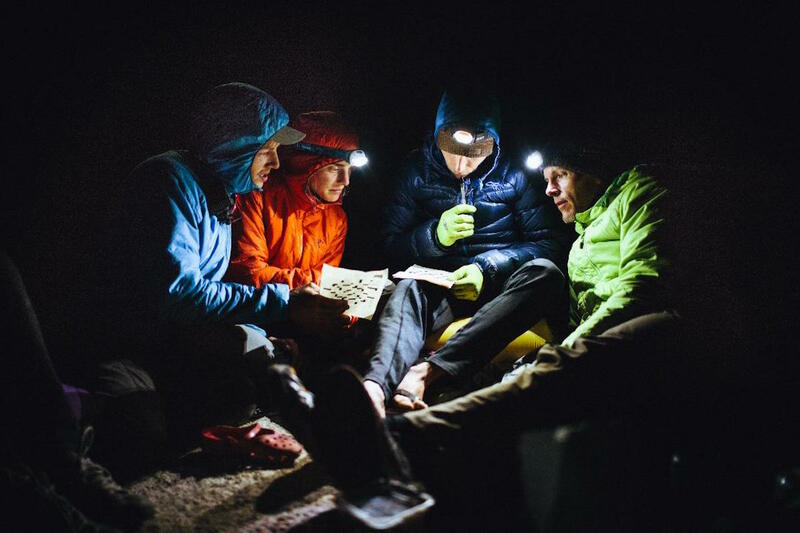 If it’s raining while you’re hiking, your best option is to wear as little as possible (without being cold) and change into dry layers once you get to camp. Once you’re dry, avoid getting wet by staying under shelter or keeping a waterproof jacket and pants over your insulating layers. Use your body heat to dry out clothing at night by putting it under your sleeping bag; if your clothing is not dry by the morning and conditions are still wet, put your wet gear back on for hiking. Cool temperatures may not lend themselves to profuse sweating, but staying hydrated is still important. Not only necessary to replenish lost fluids, water helps your body regulate its temperature by keeping your blood circulating. If it’s exceptionally cold, sleep with full water bottles to prevent your water from freezing overnight. 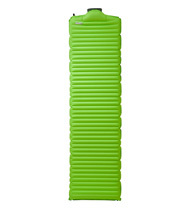 Sleeping pads are not simply for providing a buffer from rocky ground—they’re also for insulation. 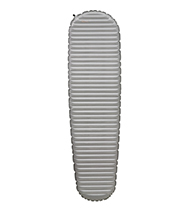 The cold ground conducts body heat away quickly; the thicker your sleeping pad, the warmer your rest will be. Therm-a-Rest makes a range of pads for different seasons, with the NeoAir All Season SV and NeoAir Xtherms being the best choices for a warm, light-weight combo. 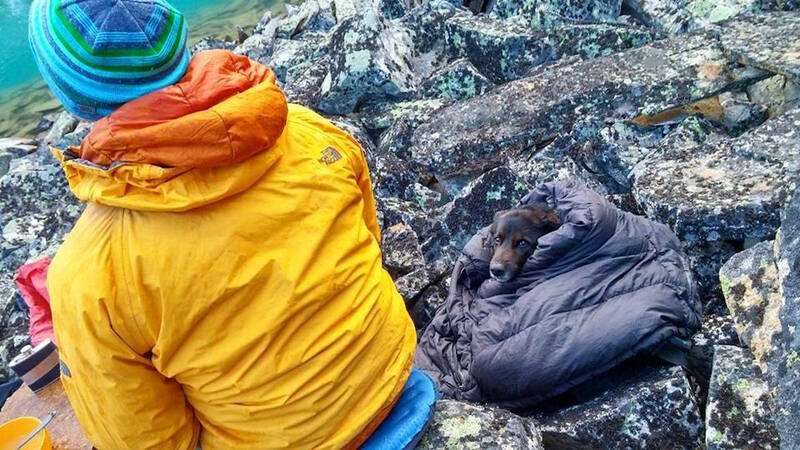 If your pad isn’t providing enough warmth, you can always use a closed cell mattress, your empty backpack or a climbing rope to provide more (albeit not as soft) insulation. 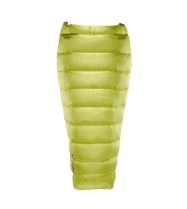 Also, sleeping bags trap heat; they don’t generate heat. Make sure you go to bed warm—pre-sleep sit-ups in your bag does the trick. Your propane or white gas containers can get very frosty, especially in cold weather. White gas can actually dip below freezing while still remaining liquid; touching these cold metal containers could cause a cold injury. Use gloves or wrap the bottle in duct tape to provide insulation and a buffer. Additionally, lithium batteries work much better than alkaline in cold weather. And a final pro-tip: pack a high-fat dinner to help you stay warm all night—bodies metabolize fat slower than carbohydrates or proteins.